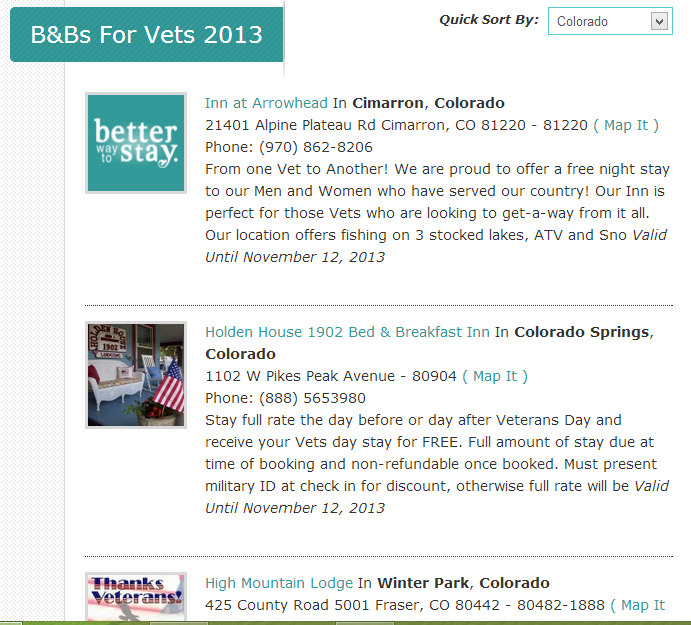 Each year, over 250 Bed + Breakfast locations open up their inns free of charge to veterans. 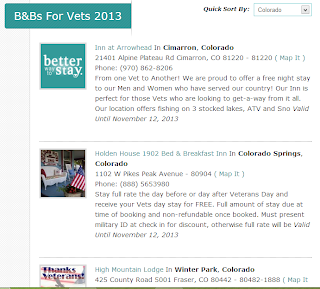 This is the 5th Annual "B&Bs for Vets" celebration. 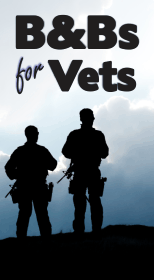 This year it takes place on Sunday (Nov 10) and Monday (Nov 11).